For this week’s Readers’ Mailbag, I address a question of central importance for understanding the Gospel of Mark, our earliest Gospel and often thought to be the one that best represents what actually happened in the life of Jesus. I’ll have to *explain* the question before answering it (!). Then most of this post will be setting up the answer with the crucial background information, which, as it turns out, the vast majority of casual Bible readers have never even thought of or heard. I’ve looked back through the archives, but I can’t find anything on Mark’s “Messianic secret”. It’s possible I simply missed it, but if you haven’t dealt with it before would you consider doing a post on the subject, please?! Particularly on why it’s no longer accepted by scholars. The “messianic secret” is a term that over a century ago came to be applied to the Gospel of Mark to explain one of its most distinctive and puzzling features. Mark portrays Jesus clearly as the messiah. Note the very first verse! “The Beginning of the Gospel of Jesus the Messiah.” Many scholars think, in fact, that Mark meant this opening line to be the actual title of the book. It’s all about Jesus as the Messiah. But there’s a strange feature in mark’s portrayal of the messiahship of Jesus. Mark is unique among the Gospels in having Jesus tell his disciples and everyone else who starts to recognize who he is NOT to tell anyone. He tries to keep it hushed up. But why? To explain further how Mark employs his understanding of the messianic secret, it is first important to realize that if he, or any other Christian, wanted to show Jesus as the messiah, he had a terrifically difficult task. This is simply unrecognized by virtually all Christian readers today, who think that of *course* Jesus was the messiah. He did everything the messiah was supposed to do, as predicted in the Scriptures by the Hebrew prophets of old. He was born in Bethlehem, of a virgin, he did great miracles, one after the other, he taught the true understanding of God, and at the end of his life he was crucified and then raised from the dead. Who *else* has done all these things? So he’s the messiah, all according to God’s plan, right? How could it be wrong? To see the rest of this post you will need to belong to the blog. If you don’t belong, what are you waiting for? You get meaty posts, five days a week, each and every week, for very little money. And every thin dime you pay goes to charity. So JOIN!! Following Dr Marcus with a discussion on Mark’s MS? Oh this gift just keeps on giving! Further query–why did Mark care if Jesus was the Jewish Messiah, if he himself wasn’t Jewish, either by birth or conversion? One possible explanation would be that this was a widespread belief among Christians, and he’d become a Christian, adopted their beliefs. Christianity would still have had a very strong Jewish element when he was writing. Mark doesn’t talk about Jesus being of the line of David, or born of a virgin (which was never a prophecy regarding the Jewish Messiah, but never mind). He doesn’t arrange to have Jesus born in Bethlehem of Judea. He must know very well that Jesus did not satisfy any of the requirements of Messiahdom. Jesus is the very last person who should be considered Messiah. And to Mark, unlike the other gospel authors, that is the point. The last shall be first. The stone the builders rejected shall become the cornerstone. It’s never the one you expected. God, like Life, surprises you. Common wisdoms are usually wrong. Who believed David was going to be King when he was a boy? Yes, he was anointed, but only a few knew about that in the Old Testament story. It was a secret (because Saul would have had David killed had he known). Mark’s Jesus is chosen by God, just as David was–the baptism is his anointment. It’s not about bloodlines, it’s not about birthplace, it’s not about preconceptions as to who or what the Messiah is going to be. Jesus defied everyone’s preconceptions. Still does, really. Jesus was also accused of being a violent revolutionary! That’s why they crucified him! I think by the time he was sentenced, it was pretty obvious to everybody involved in that process that he was not dangerous in any physical sense. But the wheels were already turning, his words could be interpreted as seditious, and Roman justice was something of an oxymoron. The Romans killed many Christians later on just for refusing to worship the pagan gods (which Jesus had a right to refuse as a Jew). If David Koresh had never done anything but say “I’m the Messiah, I should be King” to a handful of adults who voluntarily followed him, nothing would have ever happened to him. There are people saying the same thing, all over the world, right now. What got him noticed was the threat of violence, and children being held in a heavily armed compound. I get the point you were making, but the analogy doesn’t work unless Reza Aslan’s book Zealot is good history, and I know you don’t think that’s the case. If we follow the account by the authors of the canonical gospels and the Acts of the Apostles, one of the disciples of Jesus of Nazareth was Simon the Zealot. Running a gang with known terrorists (the Zealots, by definition, were terrorists) was a capital crime in Judea under the Roman Empire (according to my understanding). Thus, the crime for which Jesus was legally executed for was one that his followers later admit was guilty. Perhaps the “King of the Jews” charge had to be added to the story later, so as to hide Jesus being tried and executed for the crime of running a terrorist gang? Does this line of reasoning seem historically accurate? It seems like an insufficiently supported fringe theory. Though you can find bits and pieces of it in Hollywood movies. First of all, we don’t know ‘Simon Zelotes’ was a zealot in that sense of the word you mean. Some scholars think he was, others not. The main movement we associate with that word was decades away. The correct translation of the nickname may simply refer to his being overly zealous in his behavior. There’s pretty substantial evidence Jesus demanded nonviolence of all his followers. Most of what they’re described as doing doesn’t match up terribly well with armed revolution. He might have attracted some people with a revolutionary background, hoping he was the Messiah in the true Jewish sense of the term (this gets into the movies sometimes), but if they stuck around it was because they realized he was more than that. Basically, all of Jesus’ disciples to some extent abandoned the lives they’d once led. He required this of them above all else. So he could have belonged to some kind of insurrectionary group, then come around to a more spiritual way of thinking, under the spell of Jesus’ ideas and charisma. (Plus he might have realized any armed uprising was going to fail, which of course it did). Yes, associating with those who plotted rebellion was a capital crime–so were lots of far lesser offenses. The Romans tortured and executed Christians–some of them slaves, many women–for refusing to worship the pagan gods of the state. That, to them, was itself an act of insurrection. They set the bar really really low. You could be completely nonviolent, and what’s more, clearly incapable of mounting any kind of rebellion, and they’d still put you down. Once they’re paying attention to you, you have to knuckle under, or die. Jesus wasn’t much for knuckling under. Does that sound like a reasonable response to you? I missed a point (didn’t have space to include it anyway). Mark says nothing about Simon being a zealot, or zealous, or jealous, or any other possible interpretation of zelotes. Because Mark calls him Simon the Canaanite, or Canaanean. I don’t know if that means he was a gentile convert to Judaism, a Jew by birth who hailed from Canaan, or if he was just one of the non-Jews Jesus attracted through his more inclusive vision (ie, what saves you is faith, not obedience to the Jewish laws). Matthew uses the same nickname Mark does. Now why Luke would change that–in a time when ‘zelotes’ definitely had a meaning the Romans did not like, and Luke most certainly does not want to imply there was any tinge of worldly militance in Jesus–that’s a headscratcher. Maybe Mark was using an alternate nickname, and Luke was going with Q,. Or maybe there’s some layer of significance there we can’t fathom, due to inadequate information. But all this being the case, ol’ Zealous Simon’s a pretty slender reed to rest a theory on. Jesus may have overturned a few tables, and caused a very small ruckus in a very large public place–good bet many people there didn’t even know it was happening. Pretty tame stuff by the standards of a modern college campus, let alone a first century zealot. I understand Mark’s point, and he’s correct–but David Koresh really was a criminal. Jesus was just crucified as one, over what amounts to a misunderstanding. 1) Among the Qumran scrolls are texts that indicate that the coming Messiah would suffer, be betrayed by his own. They did not believe he would be divine (didn’t deny it, just never addressed it as a possibility) and for them the coming two Messiahs, one a priest, one a Davidic King. The Davidic king was MUCH less important than the coming priestly messiah. Some scholars today believe that the Qumranic Teacher of Righteousness saw himself as that person. 2) While Mark most likely was the first gospel written, the author had less personal knowledge of Jesus than Matthew or John, according to tradition. Matthew’s gospel comes from an author involved/familiar with the Galilean ministry and John’s gospel comes from those familiar with the intimate family/relations of Jesus. The fact that Mark’s gospel was first does NOT make it more accurate in any particular way….anymore than if I wrote a biography about you this afternoon and your wife wrote one in 20 years. While she might read mine, it is ludicrous for people to claim that mine would be more reliable than hers simply because mine was written first, EVEN if she used some of my language or any stories that I included. HERS, would obviously be more reliable and useful. It is just fashionable among nonbelieving scholars to try to move some gospels as late as possible and others as early as possible so that those that relate a Christ that is divine or born of a virgin seems like later developments. Not necessarily. What is important is how familiar the author/community behind the gospel is with the information being written, not WHEN the document was produced. 1. Some scholars have claimed this, but their views have not been adopted by the vast majority of experts in the field. YOu can see why if you actually look at the debates. There in fact are *no* texts from Qumran that refer to a suffering messiah. There are some that have gaps on the pages, where words are missing, and some scholars have (excitedly) claimed that in those holes in the manuscripts were words that indicated that the messiah was to suffer. But, well, that ain’t the same thing. 2. There are solid reasons for thinking that neither Matthew nor John had any personal ties with Galilee, Judea, or Jesus’ family. You can see teh arguments in almost any critical introduction to the New Testament or study of the Gospels. One place to start is my textbook, cited in today’s post, where I give bibliography of other scholars’ works that are widely seen as authoritative in the field. I will get the textbook you are referencing! thank you! Alma Mahler authored a lengthy bio of her 1st husband, Gustav. It’s notoriously and demonstrably unreliable, via both contemporary and later research (regarding both Alma and Gustav Mahler). So, not obvious. What them there honest scholars “do” for a living: try to separate the wheat from the chaff within their sources. If Mark is unique in this, how do we explain Matthew 16:20 and Luke 9:18-21, in which Jesus instructs his disciples to keep his identity a secret? Yes, there are occasions. But you will note that most of the times in Mark are altered in the others, and in Matthew, for example, it’s quite clear early on that Jesus’ followers know he’s the messiah. Not Mark! So why did Matthew and Luke retain these passages? It adds to the mystery of Jesus’ appearance. But it’s no longer a consistent theme. Maybe I’ll post on that next. I would also add that any worship of a man/divine being other than yhwh would have been major stumbling block. Any jew who knew the hebrew scriptures would have balked (Deut 13). Greeks….who probably had no knowledge of torah/hebrew scriptures would have no problem with a divine demi god. I guess another possibility would be that Jesus never actually claimed to be the messiah and the messianic secret was an invention to explain why no mention of Jesus being the messiah was made when he was alive. Yup, that’s the original theory of the Messianic Secret propounded by German scholar William Wrede in 1901, as I’ll be showing in a later post. Do you think the best explanation for origin of belief in Jesus as messiah is that the historical Jesus taught it to his disciples? Was there a strong connection between the 1st century apocalyptic worldview and expectation of a messiah? Yup, that’s my view. I’ll explain in a later post. I’d never thought of that Branch Davidian analogy before, that made me belly laugh! Other equally hilarious comparisons might exist; Heaven’s Gate (“What, Jesus is an alien now? ?”), or Aum Shinrikyo (“Great now our Lord and saviour is gassing subways!”). In fact if you really wanted to ruffle some feathers with more current affairs, Abdelhamid Abaaoud was the religiously-driven ISIS operative who masterminded the 2015 Paris terrorist attacks and was killed in a police raid five days later. This is where I struggle to get my head around ancient Jewish thinking. As you describe, some Jews believed the promised Messiah would be a natural human being who was adopted as the Son of God and have some form of divinity bestowed upon him (like David and Solomon). Essene and Isaian prophecies seem to suggest the Messiah would possess divine properties (like prophets such as Moses, Elijah or Elisha) and could perform miraculous deeds (Isa 35:4-6, 4Q521). So if we only had the gospel of Mark and leaving aside the death and resurrection of Jesus – how was his divinity different from what was expected? The Jesus presented in Mark’s gospel was a natural human adopted by God as his son at his Baptism who went onto perform miraculous deeds that were similar to former prophets. He had some form of divinity, but he certainly wasn’t presented as Almighty God. Jewish people of Jesus time appeared to be looking for a physical messiah, not a spiritual one. What would the spiritual one look like? How would he differ from the physical? Did Jesus consider himself a spiritual messiah? Did Mark? Can there be only one messiah at a time? How would he be recognized? Did Jesus want to keep his messiahship secret because he didn’t believe those about him would have an understanding of what he meant? There were different expectations of a messiah. I suppose a spiritual one would be one who did not engage in violent military and political activities, but was a spiritual leader instead. Some Jewish groups (the Dead Sea Scroll community) believed in *two* messiahs, one political and one spiritual. I would love to hear your take on whether Christ himself knew the full answer to the Messianic Secret. Yes, he told us several times he was to suffer and die (as would we), and his resurrection is then hope for us. But due to the agony in the garden, and the aramaic utterance I can’t help but wonder if the as-yet mortal X still had something to learn as well? I’ll be getting to that! You do realize, I’m sure, that this understanding of a Markan literary messianic secrecy motif also presumes either part of Mark’s audience or at least the larger social context of their community contained a Jewish component, operating with traditional Jewish understandings of who and what the Messiah would be. This larger social context could be considered at least a secondary audience of Mark. Alternatively, one could make this understanding of the messianic secrecy motif as part of an earlier tradition inherited by a later, less Jewish Markan community and author. This is part of the reason why I don’t think we should make a stark black-and-white contrast regarding questions such as whether or not Mark was a Jew or Gentile. It seems very reasonable to me to presume that at least part of Mark’s audience was Jewish and thus Mark’s authorial intent included a need to address some traditional Jewish concerns and presumptions. I don’t think a Jewish understanding of the messiah requires a Jewish component (people born Jewish). For one thing, there was no other concept of messiah. it’s a Jewish idea. But even more important, lots and lots of gentiles came into the church — far more than Jews — and they all adopted views previously attested only in Judaism (e.g., the apocalyptic understanding of the world). It didnt ‘mean they had to be Jewish. No, but at the very least they were still in communication (if only in their heads) with traditional Jewish ideas about the Messiah. That is why I speak of the larger social context being considered as at least a secondary audience of Mark. To the extent that Mark is still struggling in dialogue with traditional Jewish ideas, especially as a major literary motif of his work, to that extent we can still see Mark’s gospel as a (partly) Jewish work, even if he and every single member of his community, himself included, was a Gentile. That said, I personally consider it unlikely that not a single member of Mark’s audience was not of Jewish origin or at least in contact with a single Jewish person, based on the amount of Jewish material evident on every single page of his gospel. It was indeed on a clear trajectory away from the also developing Judaisms of his time, but it is not so far removed as oftentimes assumed by modern commentators. Yes indeed, they did know Jewish ideas about the messiah. But then again, there weren’t any *other* ideas about the messiah! It’s a Jewish idea. I really don’t know if Mark’s was a mixed audience. Or how to figure it out. Since they are outside of Palestine, most Xn communities there were almost certainly predominantly gentile. The ones we know best (Corinth, Thessalonica — connected with Paul) were exclusively gentile. I would argue the one in Rome probably is too. Except of course for Paul, who was certainly Jewish. Don’t forget Andronucus, Junia, Lucius, Jason, and Sosipater, whom Paul commends to the Romans as his fellow Jews (συγγενεῖς). Ah, my bad. Sorry sorry sorry — comes from responding too quickly. Of course there were some Jews in teh congregation in Rome. The striking thing is how few of them tehre were, not that there weren’t any. I make a big deal of this in my book Triumph, so it’s surprising that my mind skipped over it. Then again, my mind continually surprises me by what it skips over…. Wasn’t Cyrus a Messiah? Not Miley Cyrus, the Persian king of kings. Yes, he’s explicitly called God’s “anointed one,” meaning he was the one specially appointed to do God’s will. But you do in fact reject William Wrede’s original understanding of the messianic secrecy motif in that you think that Jesus did indeed understand himself to be the Messiah and secretly taught his disciples that he was the Messiah. In fact, you also believe that it was this secret esoteric teaching that Judas betrayed to the authorities that ultimately got Jesus killed. Yup, I’ll be getting to that! Professor Ehrman, it would be really interesting, if you’ve read Professor Marcus’ book on John the Baptist, to comment on your appraisal of his arguments for John having an earlier association with the community at Qumran and a subsequent openness to the repentance of Gentiles. It is a really interesting aspect of his work, not least because it might have profound implications for Jesus potentially also having a subsequent openness to Gentiles during his active ministry, which you have heretofore rejected. At the end of the question for this post, it says that the messianic secret is no longer accepted by scholars. Could you expound on that? I was under the impression that it was still used in scholarly circles to describe Mark’s Gospel. Yes it is. But the original *understanding* of the way to *explain* the secret is controversial. 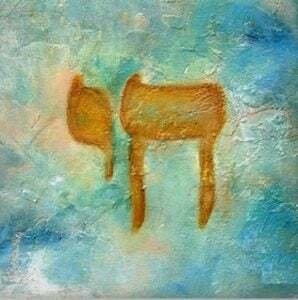 Based on your extremely cogent arguments in various venues, it would appear that there’s a sense in which the literary device of the Messianic Secret is solely a device (Messianic signs) and one it which it isn’t (Messianic claims). Claimed it in private, not in public – in this sense, the literary device feels grounded in and tracks the (likely) facts. However, it would seem that there’s a sense of Messianic Secret where for his 1st century Jewish audience the expected/foretold Messianic signs are not met in Jesus’s works, either because they just weren’t (failure) or he somehow cloaked it (obfuscation). If his works and signs (incl. his ignominious end) weren’t persuasive to many, one could easily see a need to backfill a reason why, as a response to the arguments of the unpersuaded. Such as a Messianic Secret, or hardened hearts, or blind eyes/deaf ears – relief valves lest cognitive dissonance were to well up uncontrollably in the proclaimer. Curious your thoughts: would you think a Messianic claim vs. Messianic signs distinction here would do any useful work in the arguments? I’m not sure what you have in mind when you refer to Messianic signs. Obviously you mean “doing things that only the messiah would do” — but what are you thinking of in particular? Incisive question – I’m not exactly sure how to answer it, so this may come out tangled. The easy answer: yes, it’s the things only a Messiah would do (to your point), and are convincing proof points for his audience. The much harder task is to precisely define this ‘set of only things a Messiah would do’ – given the broad range of Messianic expectations across the various constituencies (Pharisees, Essenes, 4th Phil, regular folk, etc.) and due to my delimited knowledge around each. The range of potential signs could be quite large (e.g., overthrowing foreign powers, ushering in judgement and thousand years reign, miraculous works). Perhaps a paradigm case is (very cogent in your post today): the sign that the Messiah has to suffer and die; or, maybe better, its obverse: the Messiah wouldn’t need to suffer and die. As a sign, such a Messiah clearly wasn’t very compelling to its originally intended audience. The Messianic Secret would then be invoked to explain this brute fact – why weren’t people grasping Jesus’s Messiahship? Because he was hiding it and asking others to hide it. Otherwise it would have been so obvious – his signs (actions, words, fulfillment of Scripture) would have been overwhelmingly persuasive if only he hadn’t cloaked it all. That Jesus had a bifurcated communication strategy about his Messianic claims seems to lend the Messianic Secret a kernel of historical truth. He was keeping these claims a secret, at least from most. Many of his signs, however, weren’t secret (reported as quasi- or actually public) – and the fact that they weren’t found compelling needed explaining. So the author of Mark helps himself to something (somewhat) historically grounded, and then proceeds to stretch it out of recognition in an attempt to explain more than it legitimately can. Does this help flesh it out better? Perhaps in the end the distinction (claims vs signs) does little conceptual work, but on the surface to this non-scholar it seemed to me to (a) delineate between two senses in which the literary device simultaneously does and does not track the data, and (b) point up in some small way the possible development of the device’s genealogy (starting out as quasi-accurate about claims but then being distorted to fit over signs). Ah, got it. Yes, that seems like a good way to imagine the situation. A conviction in a Roman ‘court’ of this kind wouldn’t prove much of anything. Our courts are far more exacting, we have constitutional protections, lawyers, the right to remain silent (which Jesus seems to have had some inkling of himself)–and we still constantly convict people of crimes they didn’t commit, who are later cleared–hard to believe we haven’t executed innocent people as well. Pilate would have been about the worst person in the world to understand what Jesus was saying, assuming he said anything at all. Because we have no eyewitness accounts of the trial (interrogation would probably be a better word, even Roman citizens had very limited rights in this context, and he wasn’t one), merely imaginative recreations of it by people writing decades later, it’s impossible to say what evidence they had, what Jesus might have said in his defense, or in defiance. The mere fact that a section of his own people had condemned him, and that he’d openly defied the temple authorities might have been enough. You see a nail sticking up, hammer it down. If you don’t understand something, get rid of it. That’s how the system operated. They didn’t need to prove a damn thing. And Jesus would have been about the worst person in the world to offer up a defense. Assuming he actually wanted to get off, and it is quite possible he believed he had to be crucified for the Kingdom to come. Opinions on this subject come and go, but they remain opinions. If only Pilate had written his memoirs. Maybe he did. Augustine famously did, and we don’t have them. But this is assuming Pilate would have even mentioned Jesus in his memoirs. Anatole France made no such assumption in his story The Procurator of Judea. What do you think is the more interesting topic about a story: whether a story is true or what the story can tell us about the time when it originated? I have come to think they are equally interesting. And very different! One of the hardest things to teach students is just how and why they are different and why it matters. In a nutshell, could you provide some background on Mark and his church/mission field. Here you say he couldn’t be Jewish, because of the hand washing comment (https://ehrmanblog.org/more-on-mark-and-peter/), but recently you retracted that argument. So does that mean he could have been a Greek speaking Jew from the diaspora? Is there anything in the teachings attributed by Mark to Jesus that would sound familiar to Greek speaking Jews or gentiles who associated with them? I’m afraid we have no information other than what can be deduced from the Gospel itself. But maybe I’ll post on it soon!